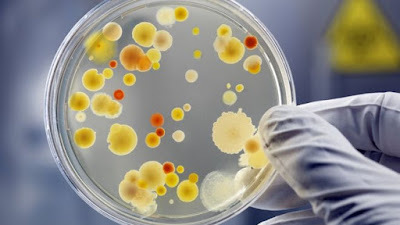 They tested the Microbiome - the collection of microscopic species that live in us - in cancer patients. Our bodies are home to trillions of micro-organisms and the relationship between "us" and "them" goes far beyond infectious diseases. Both studies were on patients receiving immunotherapy, which boosts the body's own defences to fight tumours. Mice given bacteria from patients with the "good" mix of bacteria had slower-growing tumours than mice given "bad" bacteria. Dr Jennifer Wargo, from Texas, told the BBC: "If you disrupt a patient's microbiome you may impair their ability to respond to cancer treatment." She said: "Our hypothesis is if we change to a more favourable microbiome, you just may be able to make patients respond better. "The microbiome is game-changing, not just cancer but for overall health, it's definitely going to be a major player." He told the BBC: "It's really interesting and holds a lot of promise, we need to do more work but there are exciting glimmers here in treating some difficult diseases. "Some claim the microbiome is the answer to everything, I don't think that's the case. "But once we understand more, it could be that microbiome manipulation is important in changing people's health." Dr Emma Smith from Cancer Research UK, said: "It's fascinating. "One of the big challenges for using immunotherapies to treat cancer is understanding which patients will respond, and this research is a step towards helping doctors to identify these people."